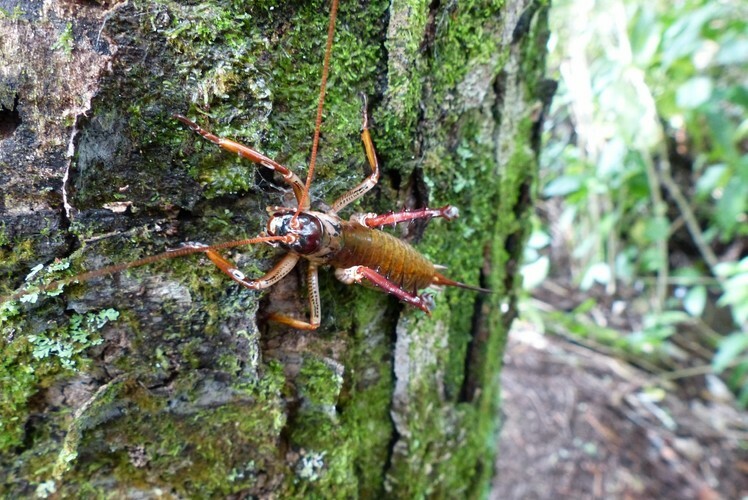 Did you know that New Zealand has endemic species such as the Weta, one of the largest and heaviest insects in the world? Wētā are related to grasshoppers, locusts, crickets and katydids (all members of the order Orthoptera) and, like their relatives, have powerful hind legs for jumping. Although wētāpunga were originally distributed across Northland, Auckland and Great Barrier Island (Aotea), the species has only survived on Hauturu-o-Toi/Little Barrier Island. Habitat destruction and predation from exotic pests saw to their demise. It is fortunate these special creatures have survived, even if just in one place. Successful breeding and translocation projects mean that they are also now present on Tiritiri Matangi and Motuora Islands. Learn about their journey back from the brink of extinction with entomologist Chris Green.